Like many Bostonians, we enjoyed the late-night subway service that the MBTA recently revoked. Aside from its obvious benefits -- fewer DUIs -- it also seemed like the harbinger of a more modern Boston, a city where a hardworking person could pay another hardworking person to make them a burrito at 4am. But so much for that. In a city that definitely sleeps, there are only so many places our shift workers, revelers, and night owls can flock. So here’s our definitive guide for where to get everything you could possibly need, at any time you could possibly want, just to make sure the party never stops. If you ask any born-and-raised Bostonian for a 24-hour restaurant, they will tell you to head to South Street Diner. This place is a classic. 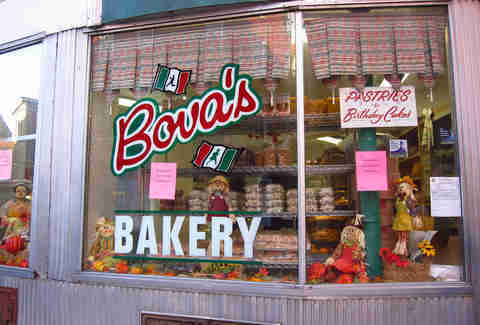 It’s where your grandpa got eggs and toast at 3:30am on his way back from the rager where he met your grandma. 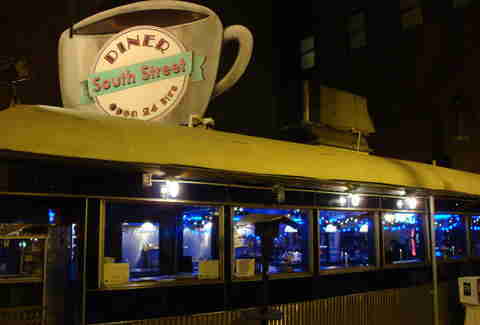 Now a favorite of Greyhound riders and Tufts Medical Center residents coming off the graveyard shift, South Street serves all your typical diner food under the haze of blue lights that look like something Hollywood decided a diner should have. Beware, though: two eggs will run you $3, and the rest of the menu follows suit. This shockingly affordable vegetarian chain is ubiquitous in Camberville, but only the Central Square location is open 24/7. Those who would mourn the loss of the building’s previous occupant, Hi-Fi Pizza (aka the beacon of greasiness that only appeared after too many tequilas), should get over it, and accept that Clover is way more delicious, even if it is full of kale. The sandwiches and snacks are just as filling as any late-night burger, plus you can get great drip coffee and homemade sodas. Crayons, a pinball machine, and free Wi-Fi will keep you entertained, and there are even farm-fresh eggs and other pantry goods for sale in case you realize your fridge is in particularly bachelor-y condition as you’re walking out the door. 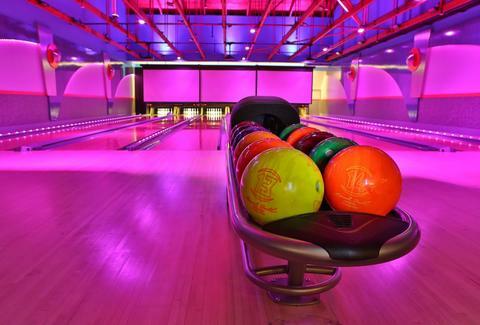 Who could resist a never-closed bowl-o-rama with regular & candlepin bowling, billiards, batting cages, and an arcade? If you’re looking for something to do post-club (or if you ditched the club altogether), you could certainly come up with worse ideas than a few more beers and a couple games of pool. 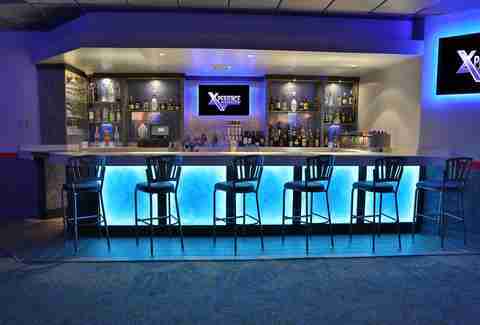 The Boston location even has a set of nightlife-inspired lanes called “Xperience,” with a private bar attached. This is not a schmancy donut shop. If you want a variety of artisanal flavors and a dairy-free latte, we have recommendations for that, but it’s not here. This is where you go if it’s unspeakably early and you want a donut and a cup of coffee so you can get on with your life and function like a proper adult -- one with enough sugar and caffeine in their bloodstream to power through an extremely long morning. The amount of sugar and caffeine that money can buy here is phenomenal. This place is pretty much an insomniac's mecca. 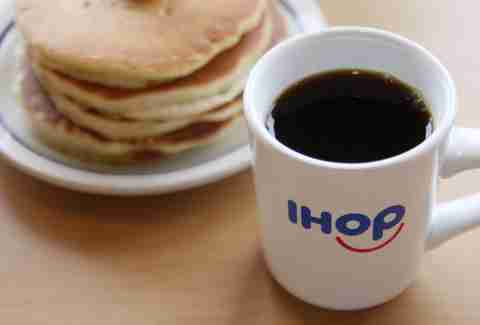 For all your insulin-resistance needs, the Harvard Square IHOP closes at 4am, making it a favorite for students, performers, bartenders, and pretty much anyone who is routinely awake and hungry after Tasty Burger closes. For the full 24/7 experience, cross the bridge over to Brighton, where you can stuff your face full of pancakes all day and night. They won’t be the best pancakes you’ve ever had, but they will be pancakes, and they will be in your mouth whenever you want them to be. 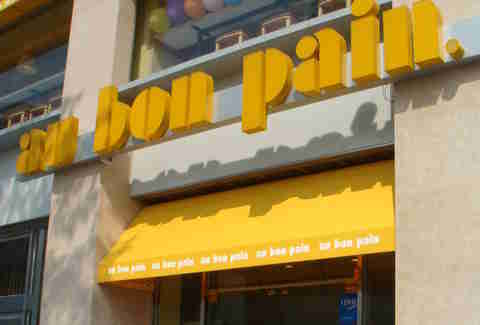 The 75 Francis St Au Bon Pain is open all the time to keep Longwood Medical Center’s doctors caffeinated and fed. If you’re in the area, we recommend that you stop by this establishment to show your appreciation for its contributions to medicine. And also because you’re kinda hungry. Need to do totally mundane tasks at completely stupid hours? The denizens of the Porter Square Shaws (and its friend, the 24-hour Porter Square CVS) will make you feel like your nocturnal hours and trashy bachelor dietary habits are perfectly reasonable. So if you really need to buy two mangos, a bag of chocolate chips, some gummy vitamins, and tomorrow’s deodorant at three in the morning, this is the place to do it. There’s also one in Fenway. 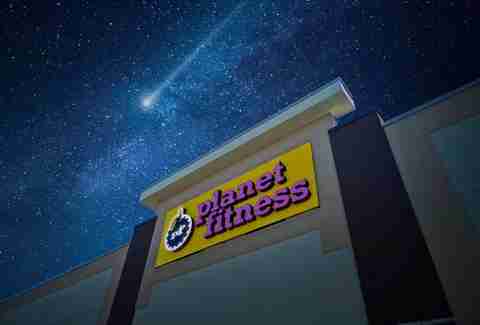 For when you need to pump some iron at zero dark thirty. Whether you want to snag a treadmill before everybody else, or you feel the need to bench before bedtime, the Downtown Crossing location has you covered. 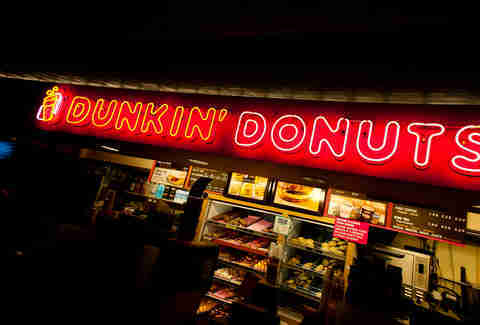 The one thing a Bostonian needs available at literally ALL TIMES is Dunk’s. It’s mildly amazing that there aren’t more 24-hour Dunkin’ Donuts sprinkled around town. But if there’s going to be one, it had better be in the neighborhood where Good Will Hunting was set. Honestly, Ben Affleck delivering Matt Damon DD’s coffee every morning is the most adorable thing in that whole film. And if you don’t think it’s adorable, you probably don’t have a soul. Kim Prosise is a travel & lifestyle writer who composed this story at a completely unreasonable hour. Follow her on Twitter @kimprosise.